When you’re trying to lose weight the scale can be a very powerful tool to measure your progress. But it’s all too easy to get caught up in a numbers game, where you only judge your success (or failure) by the digits that pop up when you step on the scale. Your clothes fit differently: Before the scale starts to budge many people see changes in how their clothes are fitting, with more room in the waist or in other areas. Changes in your waist measurement: Confirm what your pants may be telling you by measuring your waist size every week. 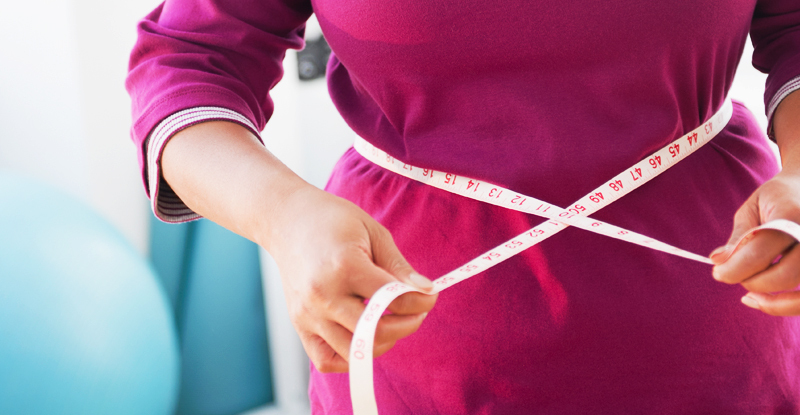 Some people see a reduction in their waist measurement before the scale moves. You’re craving healthy foods: As you cut junk food out of your diet, you may find that your body calls out for healthier foods like fruits and vegetables. Eating more nutritious foods supports continued weight loss and improved health. Changes in blood pressure and other test scores: When we make lifestyle changes to lose weight, they can also lead to improvements in chronic conditions. There may be a drop in blood pressure, changes in cholesterol levels, or an improvement in blood glucose. These are all worth celebrating because they demonstrate that your health is moving in the right direction. Improved energy: As you start exercising, eating nutritious foods, and getting more sleep, you may find your have more energy to do the things you love. And as you lose weight you might notice that activities that used to tire your out—like walking up stairs or carrying groceries—don’t test your stamina. Of course the weight you lose is a great way to track and measure progress, but it’s not the only way. As you work to lose weight, remember that all of the changes you’re making are also having a positive impact on your overall health. The scale is a good guide, but don’t let it define your success.